The Household & Commercial Products Association (HCPA) began compiling consumer product ingredient data in 2008. Today, HCPA has taken this data and created the consumer product ingredients database. The database is used by chemical suppliers, formulators, manufacturers, marketers, retailers, NGOs, state & federal regulatory agencies and trade associations as a means for ingredient communication. The HCPA Consumer Product Ingredients Dictionary helps leading CPG companies simplify labeling decisions, standardize ingredient names, and align with California, Walmart, Target and EPA Safer Choice labeling preferences. Lack of coordination, legacy solutions and human nature makes something that should be easy – calling the same ingredient by the same name on all products – a surprising challenge. This is why the Household & Commercial Products Association worked with its membership to create the Consumer Product Ingredients Dictionary, a unified source for ingredient names that are now required by the state of California and accepted by Walmart, Target, and the EPA Safer Choice program. These groups and many others consider the HCPA Dictionary the preferred way to standardize the names of your ingredients both on the label and online. For example, the ingredient commonly known as rubbing alcohol has more than five different names, not including non-English language options. The HCPA Dictionary is the most effective tool when making timely and consistent product labeling decisions. When ingredient information is standardized, consumers and retailers can better understand labels, and the CPG company reaps branding and operational benefits. 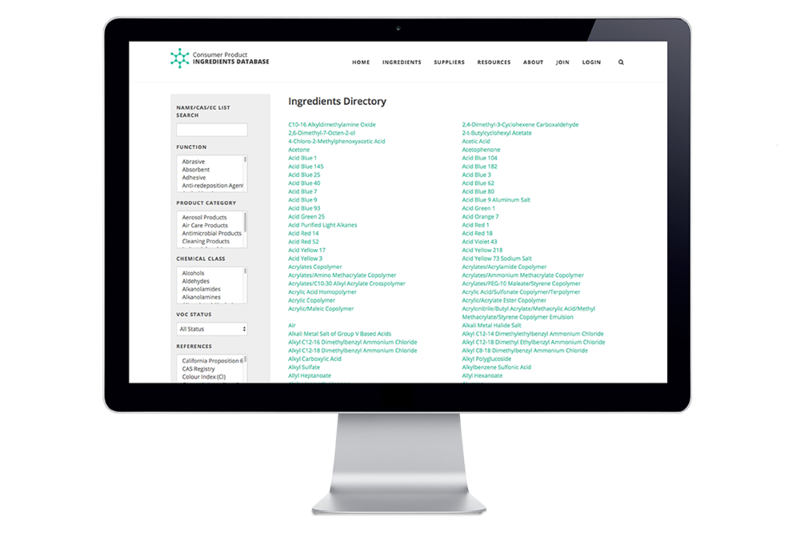 Subscribe to the Consumer Product Ingredients Database and have full access to technical data on ingredients used in consumer specialty products.